Success in business requires constant attention to detail and an awareness of changes in one’s business environment. With that fact in mind, we like to provide employers with regular updates on the status of statutes under consideration and/or passes by the Connecticut legislature. Here is an update to our last report from early May. As you will see, only a couple of new laws were added to the books. Many that were unfavorable to employers were rejected. H.B. No. 6668 AN ACT CONCERNING PREGNANT WOMEN IN THE WORKPLACE: This bill makes it a discriminatory practice to fail to make reasonable accommodations for pregnant employees. This bill initially contained a rebuttable presumption that was problematic for the business community, but this was stripped out before it left the labor committee. After weeks of dispute between Democrats and Republicans on the committee about whether to put the rebuttable presumption language back in, the bill ran in the house without the presumption. It was passed in the Senate in concurrence with the House. While this bill is technically a mandate, it is largely reflected of current federal law and HR best practices. S.B. No. 1 and H.B. No. 6212 AN ACT CONCERNING EARNED FAMILY AND MEDICAL LEAVE. This bill would have created a costly new paid family and medical leave program in the state. The Office of Fiscal Analysis (OFA) predicted this bill would have cost taxpayers about $13.6 million in the first year, and about $18 million in each subsequent year. There was no vote on the bill. H.B. No. 6208 AN ACT INCREASING THE MINIMUM WAGE. This bill would have increased the minimum wage to $15 per hour by 2022, then called for automatic increases based on the consumer price index in subsequent years. The proposal did not have enough support to be called in the house. H.B. No. 5591 AN ACT CONCERNING PAY EQUITY IN THE WORKFORCE. This bill would have combined this bill with HB 5210, which would have prohibited businesses from asking prospective employees about their salary history until a job offer with compensation had been made to said employee. However, the bill was limited to protect against the loss of seniority due to absences from work related to illness or pregnancy. The bill passed the house but was not called in the Senate. H.B. No. 6206 AN ACT CONCERNING AGE DISCRIMINATION IN HIRING PRACTICES. This bill would have prohibited employers from asking for a prospective employee’s date of birth on a job application unless it was a bona fide qualification for the job. This bill died in the Judiciary committee. S.B. No. 747 AN ACT PROHIBITING “ON-CALL” SHIFT SCHEDULING FOR EMPLOYEES. This bill would have required employers to post employee schedules 24 hours in advance or face possible enforcement action by the DOL. Representatives from many industries have explained why this is problematic. The bill was not called in the Senate. H.B. No. 6914 AN ACT CONCERNING A MINIMUM WORKWEEK FOR PERSONS PERFORMING JANITORIAL OR BUILDING MAINTENANCE SERVICE. This bill would have required individuals performing janitorial services be given a 30 hour work week regardless of whether that individual wanted that many hours, or the employer could afford to pay for that many hours. This bill died in the Appropriations committee. H.B. No. 6519 AN ACT PROHIBITING EMPLOYER CREDIT INQUIRIES FOR POSITIONS INVOLVING ACCESS TO CERTAIN NONFINANCIAL ASSETS. This bill would have eliminated the ability of certain businesses to use credit checks to screen prospective employees that might have access to an employer’s nonfinancial assets. The bill was not called in the House. Proposed H.B. No. 6901 AN ACT CONCERNING THE RECOUPMENT OF STATE COSTS ATTRIBUTABLE TO LOW WAGE EMPLOYERS. This bill would have imposed job killing taxes on businesses with 500 or more employees for each employee paid less than $15 per hour, or franchises whose franchisors collectively have 500 or more employees. This bill died in the Labor committee. S.B. No. 933 AN ACT REQUIRING AN EMPLOYER TO ADHERE TO EQUAL EMPLOYMENT OPPORTUNITY COMMISSION GUIDANCE RELATING TO THE USE OF ARREST, CRIMINAL CHARGE AND CONVICTION RECORDS WHEN MAKING EMPLOYMENT DECISIONS. This bill would have adopted EEOC guidance on employer criminal background checks, which undermines the work of the Fair Chance Employment Task Force whose mission it is to make recommendations on future background check legislation. This bill died in the Judiciary committee. H.B. No. 6461 AN ACT CONCERNING UNEMPLOYMENT COMPENSATION. 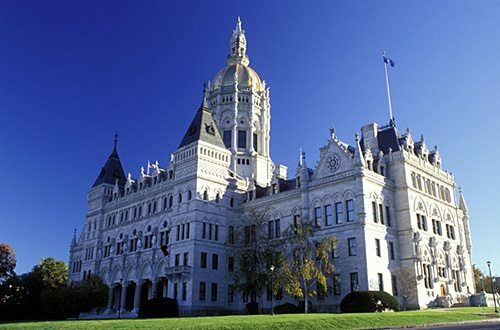 This bill would have brought benefit reforms enacted by other states that reduce waste to Connecticut, helping return the unemployment trust fund to solvency without cutting benefits to individuals who worked full time and became unemployed. The labor department was unwilling to allow any bill to move forward that did not increase taxes on businesses. Although the reforms did not pass, the business community should consider each year without an unemployment tax increase a win. If you have labor or employment law questions we can answer – we hope you will call us. The attorneys at Kainen, Escalera & McHale do one thing and one thing only – we are an employer defense law firm – in fact, we are one of the largest employer defense law firms in the region. What’s more, each of our attorneys has over 20 years of experience in employment and labor law matters and can provide your business with comprehensive legal counsel ranging from assistance with necessary preventive measures to trial advocacy.